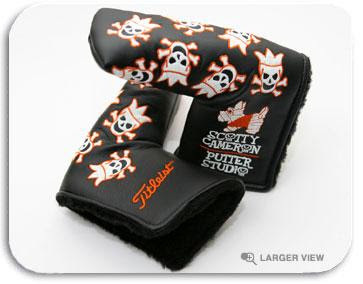 As of yesterday Club Cameron members could get this cool Halloween headcover and supposedly it even glows. It will be interesting to see how much these will go for on eBay most people collect them but for those trying to make a few bucks there will be some on eBay I'm sure. Almost makes me want to join Club Cameron. I love those cameron putter covers...but I don't like the prices they go for one ebay...Insane! Have a peek at my golf blog if you have a minute.